Kitamae Country & Western Club Nashville is the principal organizer of the party. A new tradition is being fashioned in Chatan with the 1st annual Tailgate Party the day before Superbowl XLVIII next week. Chi Chis, Dejavu and Nashville Clubs are hosting the tailgate party Sunday afternoon from 1 p.m. ~ 5 p.m. in the Chi Chis and Nashville parking lot. A special appearance by the Chi Chis’ cheerleaders is on tap. The party will feature beer pong, Fear Factor, a football toss and giveaways. The party sponsors say they’re also going to serve a barbeque, beer and a smattering of other delectable delights. Monday morning, the Nashville Club will open its doors at 8 a.m. to present Superbowl XLVIII live. While the Superbowl is in progress, there will be darts, pool, breakfast drink specials, and giveaways. The game is being televised on three big screens. There will be a poker tournament following conclusion of the Superbowl. Nashville Club, located just outside Camp Foster Kitamae Gate, is normally open Sun, Wed and Thu from 6 p.m. to midnight, and from 6 p.m. to wee hours in the morning on Fridays and Saturdays. 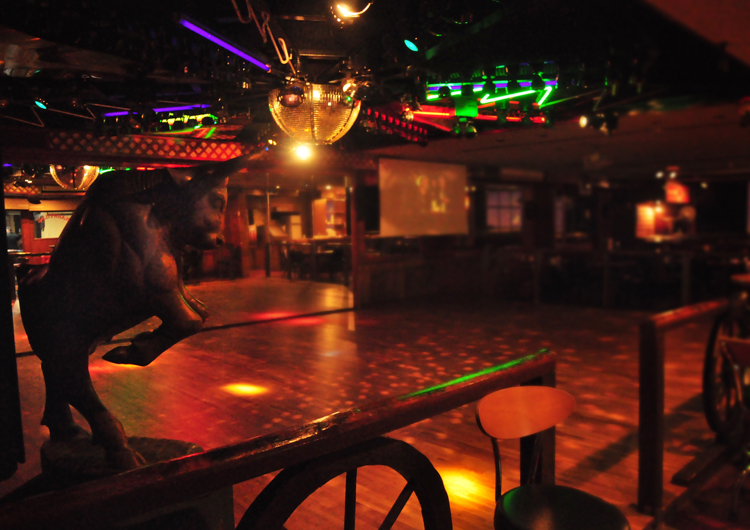 The specialty of the club is their Mechanical Bull that is currently free to ride. Upon request, the club staff will shoot a video of the customer’s ride, and then email a web link of the video to the customer to see his or her ride, and share it on YouTube. The music in the club is all country and western, both new and old. Other amenities include two big screens showing videos (country music, rodeo, lots of other fun videos), a huge floor for line dancing, and many regular customers who are willing to teach line dancing for free. Everything is country style, and Nashiville’s Chili is starting to become famous as well.